DO YOU NÔZE WHO THEY ARE? They are back they are all there: choruses, old stories and relentless post-digital refrains… At Nôze’s evrything comes along from the kitchen to the ceiling. The energy of what they give into live and compose in their basement (mixture of Brazil and percussions): they are insane these Nôzians! On that ep features an inedit track called « IAM ». If you’ve enjoyed Noze live, you should freaked out on that one. It start with a strong rythm, cut up voices and leads to a psychedelic synthetizer gimick. 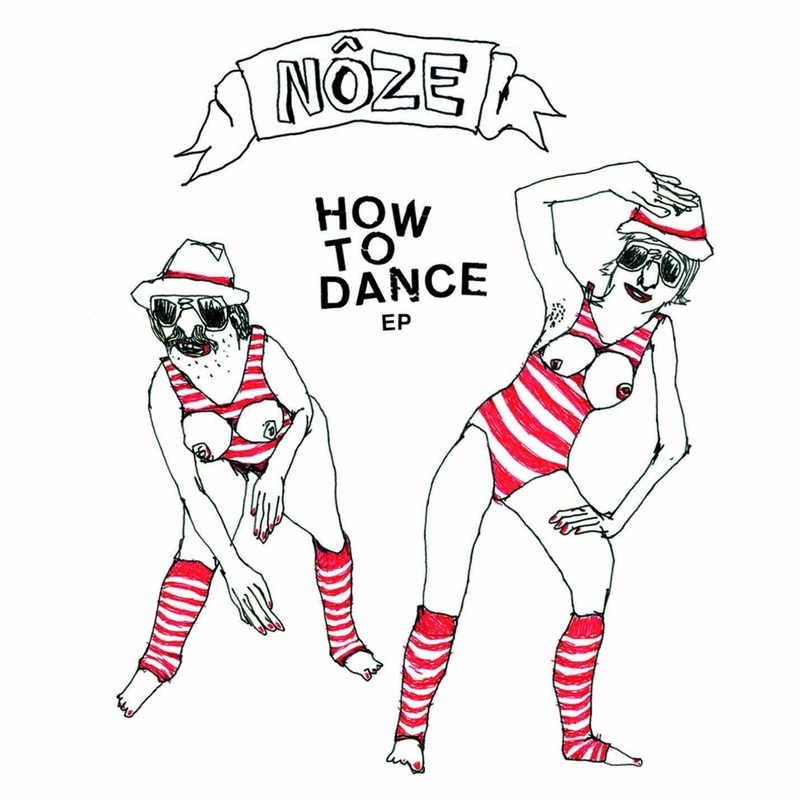 Here It’s all about nôze dancefloor ! The difference is that it’s straighter than usually, so more easely usefull for dj’s. The B side gather two major tracks of the « How To Dance ep » album that was realsed late april. After an international overdemand « Love Affaire » and « Lovin’ All People » are now available on vinyl. In this outcoming « How To Dance ep » one will be able to identify : the presence of extr-ARKterrestrian with his guitar « love affair ». WE STILL DON’T NÔZE WHO THEY ARE, BUT WE LIKE IT!! !